If you have a beard, you’ll understand the pain of wanting a softer, smoother facial hair game. Lush is here to save the day, and this product is surely worth a small investment. Kalamazoo is a part of Lush’s selection of products aimed at people with beards. 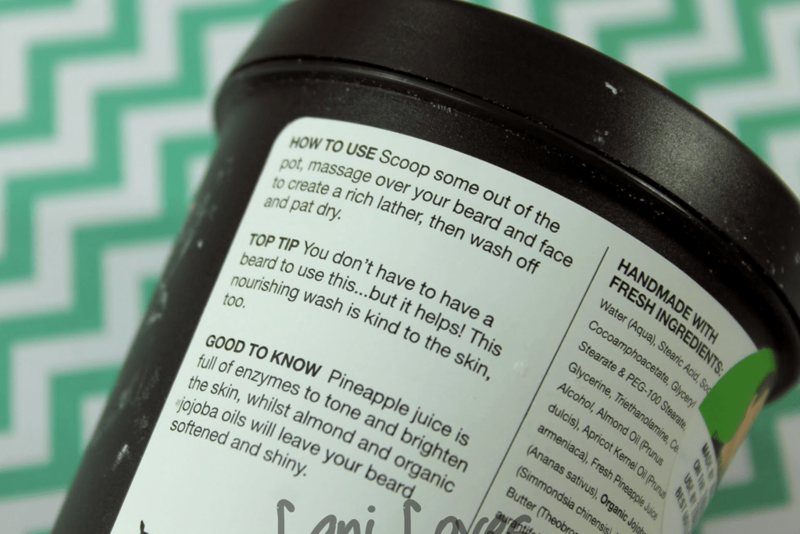 It has a few key ingredients, with cupuaçu butter (loaded with Vitamin E) thrown in to soften the skin and prickly follicles, whilst the lime and almond oil are added to make the skin glow and dull beard hair look glossy. If that wasn’t enough it also features enzymic pineapple as a boost for oily skin! The product is made for men, obviously. But there’s no reason women couldn’t use it. It’s a great product to add to your early morning routine as it’s easy to apply, and you can wash off in the shower, or with a splash of water. From just £6.75 for 100g or £12.25 for 240g, it’s also not going to break the bank. To use, take a scoop of Kalamazoo, and work it around in the palms of your hands, then apply a thin layer across your face, and work into your beard in circular motions. If you have a thicker beard, apply slightly more, and rub more thoroughly. Leave on for around 30 seconds, and then wash it off with a flannel or just in the shower. What is also great is that you’ll enter the shower with a thin layer of great smelling paste, and exit with smooth soft skin, totally oil free, oh and a great fruity smell with a small dash of sweet orange oil adding a hit to get you through the day. Take a look at Lush’s whole mens grooming range, and the Kalamazoo here.